Product information "Neff T23S36N0GB 60cm Gas Hob"
The luxury Neff T23S36N0GB is a 4-burner hob featuring cast iron pan supports and stylish oval front controls on a strip of black glass. It complements all of Neff's new ovens.This hob fits into a standard size cut-out and can accommodate a drawer underneath for vital cooking utensils. With flame failure safety cut-out and automatic ignition. Adaptable for LPG (jet included). 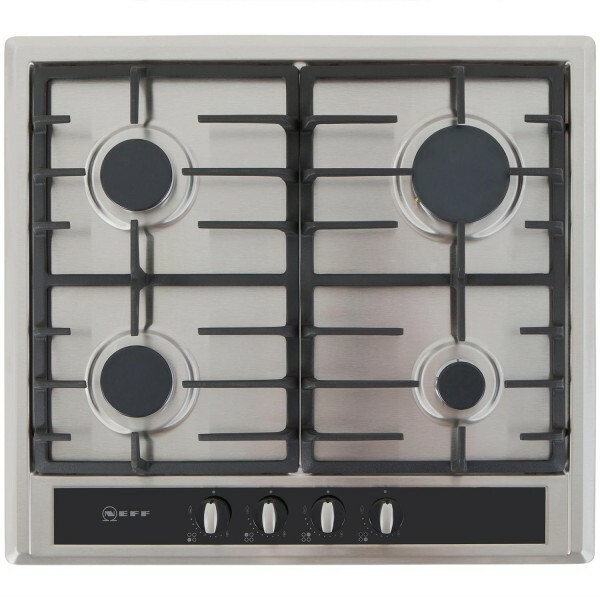 Related links to "Neff T23S36N0GB 60cm Gas Hob"
Customer review for "Neff T23S36N0GB 60cm Gas Hob"